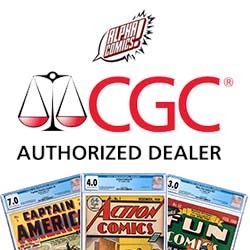 This book is a culmination of several recent (and not-so-recent) Marvel events: Clone Conspiracy (Amazing Spider-man), Superior Spider-man, and Secret Empire. It’s also the official kick-off for Spider-Geddon. This book continues in Spider-Geddon #1. Doctor Octopus has always been rather vain and self-involved. This book really takes that to ten. The dialog in this book is super dense. And most of it is internal monologuing done by Ock himself. And there’s a lot. Did I say there’s a lot? While it fits the character really well, it gets mildly irritating about midway through the book. That may also be the point. While Doc Ock spends time talking to himself, he’s also working really hard to be a superior good guy. His first act after moving to San Francisco is to bust The Night Shift and buy them out to watch the city for him. Then he has to face his only perceived failure in letting down Anna Marconi (his girlfriend at Parker Industries back in the Superior Spider-man days). It leads up to Ock having a major role in Spidergeddon! As previously said, there’s a ton of dialog. Gage must have had a script for this book longer than any other before it. However, it does come off as completely believable for the character. That’s all we can really ask for, regardless of the wordiness of the execution. The art works well for the book. After the first couple of pages that is. The initial few pages are also very detailed with the Night Shift and it drew me out of the story a bit. However, it settles right into a groove once Doc Ock enters the scene. 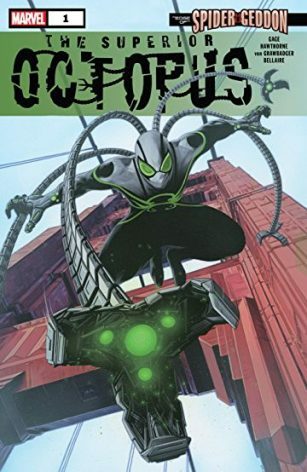 This book is required reading for the Spidergeddon event. If you aren’t signed on to the event but have books from the previous events, it’s still a good pickup to augment your collection.